EA Sports has had quite the presence on mobile for a number of years now, and if you’re into sports simulation games with real-life athletes and teams, you’re probably aware that they’ve released mobile versions of their Madden NFL and UFC titles. 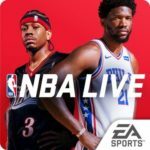 Likewise, EA Sports has released their share of NBA Live games for iOS and Android devices, including the latest version of NBA Live Mobile for the 2018-19 season, featuring the Season 3 update. The lineups have been updated (LeBron James with the Lakers, Kawhi Leonard with the Raptors, etc. ), the features and game modes you know and love from previous versions are back, and with the actual 2018-19 NBA season approaching, it makes perfect sense to download this game to tide you over before the real-life action begins. Just because this is a basketball action/management title that is specifically designed for the mobile player doesn’t mean it’s going to be easier than learning the game if you’re a PS4 or Xbox One owner. 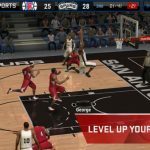 There are lots of things to keep in mind in this title, even if you’re just starting out, so we’re going to cover those beginner tips and tricks in this NBA Live Mobile strategy guide. We’ll be covering some, but not all of the game modes and giving you some tips on how to win more games or complete more challenges in those modes, how to earn more currency and stamina, and a lot more, so read on if you need some help in the early stages of the game! 1. 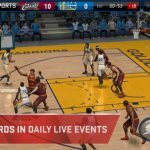 The Essence Of NBA Live Mobile — What Are The Basics? Much like EA Sports’ other big-time release for mobile, Madden NFL Overdrive, NBA Live Mobile Basketball is a version of the console game that’s specifically distilled for the mobile gaming experience. You’ll still be getting to experience actual video game basketball action, but with shorter quarters, and in a series of minigames, or Campaigns as they’re called in here, where you’ll have to complete certain tasks in order to win new card packs, currency, and other rewards. It’s significantly different from the typical NBA Live experience on console, but then again, there are also more than a few similarities to speak of. While you can choose any one of the NBA’s 30 teams in this game, bear in mind that you won’t be able to control the actual lineups. So if you choose the Los Angeles Lakers, for instance, you won’t get LeBron James, Lonzo Ball, and the rest of the 2018-19 Lakers lineup right off the bat. Instead, you’ll unlock a couple low-rated players through the tutorial challenges (including Sixers guard Markelle Fultz, at least in the tutorial we completed), then open a player pack that mostly comes with low-rated players who rode the bench in the real-life NBA. You’ll also unlock your first coach, and he’ll also have a similarly low rating. It’s pretty much similar to how it works in Madden NFL Overdrive — your choice of team is mainly affected by personal preference, so if you choose the Golden State Warriors, you won’t be getting a team with five All-Star starters, and if you choose the Atlanta Hawks, you won’t be getting the five youngsters and/or journeymen expected to start in the coming season. There are several game modes to choose from, aside from the aforementioned Campaigns. Showdown mode allows you to play against human opponents in turn-based action — each of you will play alternating quarters against an AI defense, with your final scores added up at the end of the game. Wins will earn you Fans and losses will cost you some of them, and as you earn more Fans, you’ll get to advance from your current league to a higher one. You can also play in Season mode once you reach level 4 — this is a PvE mode where you get to compete against AI opponents of progressively increasing strength, winning more player packs as you go along, with the players found inside the final packs in this mode including some rare, and skillful players. Again, there are a lot of similarities between Madden NFL Overdrive and NBA Live Mobile Basketball in terms of mechanics, so if you’ve played the former, you’ll likely have a good idea of what to expect in the latter. The quickest way to beef up your lineup and add better players to your team is to go to the Campaigns menu and complete as many challenges as you could. Some of the challenges can be quite easy, and simply involve scoring a basket or making an assist with a certain player, for instance. Others, however, may be trickier, and require you to score in a certain way and at certain zones on the court, and avoid the hotspots that move across the screen. This is another similarity to Madden NFL Overdrive worth noting, as NBA Live Mobile does try to challenge gamers in a similar way as coaches do the same to their players in training camp. Regardless of what is asked of you, Campaigns will reward you with new players, with the quality of players improving as you move forward and the challenges get harder. Don’t take this part of the game for granted, or else you will, more likely than not, struggle when competing in Showdown mode! This is also a good way for you to experience using higher-rated players, as they will be loaned to you during the Campaign, but only for a certain challenge in particular. Stamina is the resource you utilize in order to play Season and Showdown games, as well as the various Campaigns. Whether you win or lose a game or are successful or unsuccessful in a campaign, the energy will be used up afterwards, and as you may have surmised at this point, you will only be given so much Stamina to use. The amount of maximum Stamina increases with each level-up, but there are times when you could have more than the maximum limit — usually, this happens when you receive it as a reward, but if you go to the home menu, you will oftentimes see an option on the left side asking if you want to watch a video in order to earn free Stamina. We recommend that you choose this option as often as the game allows you too, because some of the Campaigns can be quite difficult and may require repeated plays before you can get it all right! As a bonus tip, Stamina does regenerate automatically in NBA Live Mobile, at the rate of one unit per minute. That means a wait of two hours if you have 120 maximum units of Stamina, though we recommend being patient and avoiding the temptation to spend your hard-earned NBA Cash for an automatic refill — that’s 199 NBA Cash, and we must warn you that that doesn’t come easy! One of the most fundamental aspect of NBA Live Mobile, just as it is in real-life basketball, is shooting. As most basketball fans know, you have 24 seconds to get a shot off before the shot clock expires (more on the shot clock later), and that’s usually more than enough time to find the right man to pass the ball to and to set up a good play. But regardless when you decide to take the shot (as long as the shot clock doesn’t expire), there are a few things to keep in mind. The first thing to keep in mind is to shoot whenever you’re open or have a good look at the basket. Don’t take the desperation shot against two or more defenders, because that will decrease your chances of making a successful shot, as indicated by how much blue is filled up in the circle underneath the player with the ball. Speaking of things like that, it’s useful to have some knowledge of which players can shoot three-pointers and which ones can’t — whether it’s one of the league’s best (e.g. Stephen Curry) or a fringe talent (e.g. Ryan Anderson of the Suns, formerly with the Rockets), there are players whom you can count on with those long-rangeshots. Conversely, guys like Dwight Howard and Clint Capela are very effective in the paint, but absolutely useless when shooting three-pointers. A trip to Basketball-Reference.com , ESPN, or other similar sites could be really helpful, and so can tapping on My Team and viewing your players’ attributes. Next thing to remember when it comes to shooting is timing. You need to make sure that the white circle matches up perfectly with the larger one before releasing the Shoot button — this will give your shot the biggest boost in terms of percentage (20 percent or more), and thusly give it the best chance of going in. Not everyone who averages a lot of steals per game is considered a good defender. In fact, there have been a few in real-life NBA history who were actually bad defenders because of how they’d often steal the ball, but just as often let their man drive past them or shoot a wide-open shot on them because they gamble too much. That also applies in NBA Live Mobile, as it’s often best if you hold on the Guard button on defense, rather than tapping it frantically in order to attempt a steal. If the icon above your defending player’s head turns green, that means he’s doing a good job shutting the other guy down. The same applies when it comes to attempting blocked shots — time your block attempt wrong and you’ll be letting your opponent get away with an easy two (or three) points. In the real world, playing a slow, deliberate game and controlling the tempo is a good way to limit your opponent’s scoring, and an even better way to keep your lead. That doesn’t apply in Showdown, where you get to play one quarter and your opponent another, trying to score as many points as possible as you could against them while they’re controlled by AI. 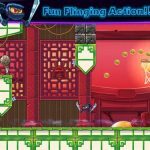 Since the player who has more points at the end of those two turns wins the Showdown match, that means you should turn up the tempo when playing these PvP games and try to score like crazy! Playing a slow-down game is all well and good in Season mode, where the stakes aren’t as high, but that’s essentially tantamount to playing it safe when talking about Showdown mode. In order to waste as little time as possible, you might have been tempted a few times to launch long, reckless baseball passes in hopes of instantly getting the ball from the backcourt to your half of the court. Unfortunately, this is arguably the game’s quickest shortcut to racking up a ton of turnovers, and we’ve noticed that AI opponents seem to have a momentum boost of sorts following a turnover. Again, this is very similar to how real basketball works — people simply get pumped when trying to take advantage of an opponent’s mistakes. While Showdown mode does require you to score points in a hurry, you shouldn’t do it at the expense of a turnover; avoid the baseball passes as much as you could, and keep your passing as crisp and simple as possible! These challenges are the ones you will likely be repeating over and over again, and we know how frustrating they can be to complete. So what makes them such a pain to go through? For starters, there’s the requirement that you have to be FULLY within one of the zones when shooting — your shot won’t count if you’re partly out of the zone, with one foot within. Second, avoiding the hotspots is easier said than done; if a hotspot crosses your player’s path at any point before the ball enters the net (or clangs off the rim) and touches the court, the shot won’t count. Thirdly, there’s also the type of shot to consider. Dunking normally shouldn’t be a problem; it’s a matter of swiping up to the Shoot button right at the point where you’re near the basket. It can be mildly tricky, but when you’re worrying about hotspots, successfully dunking suddenly becomes something akin to rocket science. So what can you do in such challenges? It’s important to take your time before shooting, but not too much. The game will give you 24 seconds per attempt, so you have ample time to study the movement of the hotspots in such a way that you can avoid them. Next, try to be at the center of the zones when attempting a shot from a distance. This gives you the best chance of staying within the zone and not straying out while shooting. Also, make sure you’re thinking a second or two in advance. This may take some practice, but this is important if you want avoid those frustrating situations where your shot swishes through the net, but isn’t counted because the hotspots floated underneath you while you were shooting. Again, keep in mind that a shot will only count if there is no contact with hotspots at any point before the ball goes in the net and bounces on the court! We’ll be dealing more with currency in our next guide for NBA Live Mobile, but if you’re looking for the easiest way to earn more coins and NBA Cash, your best bet is to complete more Objectives and Achievements. The former will only reward you in coins, which are the game’s common currency, and can refresh on a daily or weekly basis, which means you only have so much time to complete them and earn those coins. The only exception here are the NBA Academy Objectives, which are based on how far you were able to reach in the tutorial campaigns. Examples of Daily Objectives include claiming your daily bonus pack in the in-game store, while Weekly Objectives may include having a certain number of daily logins in a row, or completing a certain number of Daily Objectives in a week. Achievements, on the other hand, are more long-term than Objectives, and are divided into three areas — General (coin rewards), Gameplay (Reputation point rewards), and Franchise Manager (NBA Cash rewards). For example, General Achievements include scoring a certain number of points in any 5-on-5 game mode, Gameplay Achievements include winning a certain number of quarters or championships in specific modes, and Franchise Manager Achievements pertain to matters related to your team, such as acquiring a certain number of players of a specific rarity (Gold, Silver), or reaching a certain player level. While Objectives have their own easy-to-spot tab in the left-hand side menu, you’ll need to look for the medal icon on top of that menu in order to access Achievements. It helps to review both from time to time, even if these are tasks that can be completed organically, or by playing the game like you normally would. And this ends our NBA Live Mobile beginner’s guide. We hope you’ve enjoyed our tips and tricks and don’t forget to check back as we are planning to release an advanced guide for the game soon! I have completed sets which requires me to put up a current player in my line up to the set, but I can’t seem to do that. Any tips? you have to actually take the player out of your lineup, its quite annoying really.